The attacks of September 11, 2001, were a calamity on a scale few had imagined possible. In their aftermath, we often exaggerated the men who perpetrated them, shaping hasty and often mistaken reporting into caricatures we could comprehend -- monsters and master criminals equal to the enormity of their crimes. In reality, the 9/11 hijackers and their cohorts were unexceptional men, not much different from countless others. It is this enemy, not the caricature, that we must understand if we are to have a legitimate hope of defeating terrorism. The intent of this book is to uncover a better understanding of who the hijackers were and, thereby, why they did what they did. Perfect Soldiers traces these men's lives and the evolution of their beliefs, putting a human face on heinous acts. Most of the hijackers were from apolitical and only mildly religious backgrounds. As they came of age, though, they were shaped by historical tides and their own circumstances, evolving into devout, pious Muslims. In fundamentalist Islam, religion and politics are inseparable; they saw themselves as pilgrims, soldiers of God. In the end, this is a story about the power of belief to remake ordinary men. Matching unrivaled research, undertaken in twenty countries on four continents, with a voice that is engaging, authoritative, and thought-provoking, Los Angeles Times correspondent Terry McDermott provides detailed portraits of the main players of the 9/11 plot, including by far the most comprehensive study yet produced of Khalid Sheikh Mohammed, the plan's mysterious engineer. With brilliant reporting and thoughtful analysis, McDermott brings us a clearer, more nuanced, and in some ways more frightening understanding of the landmark event of our time. Defeating one's enemies over the long run requires first understanding them.For too long Americans have been led to believe the 9/11 hijackers were part of a super-organized and managed group of monsters, motivated by hatred of America's freedoms.McDermott's detailed reporting chronicling the lives of several hijackers shows that none of this is true - and thus is must reading.It also shows that the thousands trained in Afgan camps had little or no role leading such activities. The book first impresses readers with the desperate poverty throughout much of the Middle East - in fact, young Egyptians with graduate degrees are 32 times more likely to be unemployed as illiterate peasants.This clearly is a breeding ground for trouble.Further symptoms include coverage of the machinations many undergo to emigrate to Europe for "asylum" (eg. generous welfare benefits).Once overseas, McDermott reports how several of the 9/11 leaders, despite having come from relatively non-religious families, became Islam militants - they simply became malleable by Islamic extremists while looking for companions in a foreign culture. The first World Trade Center bombing cost about $3,000 and caused damage in the hundreds of millions.Why the WTC - because "many Jews worked there. "Reading McDermott's accounting we learn that the operation was more slap-dash than professional, and would have been much worse if the terrorists had more money. Ramzi Yousef then went ('95) to the Phillipines intending to blow up several 747's in roughly the same timeframe.This plot failed as a result of a freak fire caused by disposing of chemicals.Unfortunately, this effort also led to Yousef meeting a friend who had taken flight training in the U.S. - and the suggestion for crashing a plane into the CIA.This was relayed to Bin Laden in '96 and a meeting to initiate it in '99 - instead targeted at the WTC.Clearly such a long delay is not indicative of a well-managed organization. As for Saudis making up the bulk of the hijackers - McDermott points out that this was because Saudi passports were the least scrutinized for entry into the U.S. (most of the screening was to weed out those coming over for 'economic' reasons - such as in Europe). Meanwhile, those chosen as pilots took U.S. pilot training, and despite reports to the FBI, no action was taken. (One agent did note that Moussaoui "was the type guy who might hijack a plane and fly it into the WTC. ")As the pilots literally muddled through their training, the FBI failed, for 19 months, to find two of the hijackers known to be in the U.S.
Then came 9/11.The FAA "no-fly" list doesn't even have the name of the bombing plot in the Phillipines - in fact, it only has 14 names total, with none of the hijackers. (Meanwhile, the State Department's list of "monitor/do-not admit" names totals about 61,000 - and is not available for use. Lessons to Learn:1)It takes a very few seemingly ordinary people to create unimaginable havoc; further, the Internet etc. are making it ever easier to do so.2)Hatred of the U.S. derives from our actions - support for Israel, occupation of Saudi Arabia, and undoubtedly also Iraq and possibly Afghanistan.3)High Middle-East unemployment and its very large Islamic population provides a fertile ground for hatred of the U.S.4)The reported time-lag between concepualization and implementation of terrorist actions is so long that little/no comfort should be taken in the lack of U.S. attacks post 9/11.5)The U.S. needs to seriously focus on removing major sources of Islamic irritation. The author did an excellent job of researching the activities and the background of the terrorists who attacked the World Trade Center. This is an introduction to our new enemy and he is a person both similar and very different from us. In the realm of extremists, he is the common man with all of the incompetencies and blunders in his efforts to cause harm to us, his "sworn enemy".It is this "common man" status, however, that has provided his cloak of protection up to now.Unfortunately, these are people who are easily manipulated through misguided religious fervor and hatred.The combination of anonymity, blind hatred and availability of resources makes for a formidable enemy. 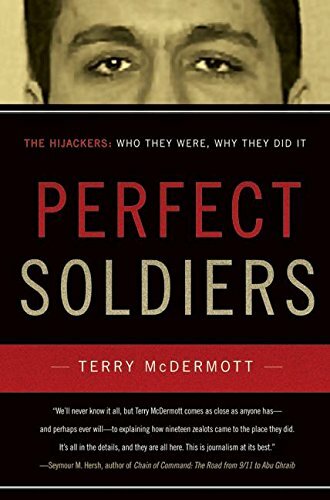 Terry McDermott helps us know and understand this enemy.Everyone should read Perfect Soldiers. McDermott has written what is so far the definitive narrative of the 9/11 hijackers. He divides his book into three parts: First, he profiles the backgrounds and personality profiles of the hijackers, many who started as regular citizens and slowly drifted into their extremism, often by chance. Second, he explains the political forces in Soviet-occupied Afghanistan that helped to revive Jihad and give power to Osama Bin Laden. Third, he focuses on the actual plot to hijack the planes on 9/11. The reportage is remarkable and provides clues to the hijackers' personalities that have so far not been publicized. What's scary is the effective way the author shows the hijackers often came from privileged backgrounds and then drifted into the fringes of society where, needing direction and identity, they were susceptible to the extremist rhetoric of fundamentalism and violent jihad. Where I might disagree with McDermott is his characterization of the hijackers as "fairly ordinary men." Perhaps I have a different definition of "ordinary" than does McDermott who uses hundreds of salient illustrations to paint these men anything than as ordinary: They are often portrayed as sullen spoiled narcissistic brats and bullies. One of the most prominent of the hijackers, Mohamed Atta, in particular is an extreme personality study in repressed sexuality, narcissism, and sociopathic hatred of others. He cannot smile or enjoy life in the slighest so that when he eats food he mutters to himself how boring and tedious the task of eating is. Everyone who knew him, even people who shared in his beliefs, found him an obnoxious presence. Sullen, brooding, and controlling, he made the hairs on people's neck bristle whenever he entered a room. In spite of his fastidious religious adherence, he takes to the mysterious and disturbing desire to wear eye mascara. I'll let you decided if he is "ordinary" or not. In any event, Atta, like the others, is misogynistic; women are shunned and held in contempt. The total sum picture you get of these hijackers is a bunch of malignant malcontents who need an extreme cause to be a vehicle for their personal frustration and deeply-set anti-social tendencies. For an excellent companion book to better understand the types of personalities who get drawn to extreme forms of belief, I highly recommend Eric Hoffer's slim masterpiece The True Believer. Wow. The reporting here is intense, but "Perfect Soldiers" doesn't read like some stretched-out newspaper feature or a clip file---the writing is clear and crafted, the story well-told and well-paced. McDermott is a reporter's reporter, but more than that: he's gone out, mastered it all, and comes back now to tell us what is good and true and what is BS. Characters and places mean something here, and what McDermott has found is often incredibly shocking and sometimes unnervingly weird. I'm very glad I read this book, and I look forward to reading it again. The accounts of the hijacker's lives show a disturbing banality.For figures that until their death lived such illusive and insignificant lives the biographies are superbly detailed and comprehensive. 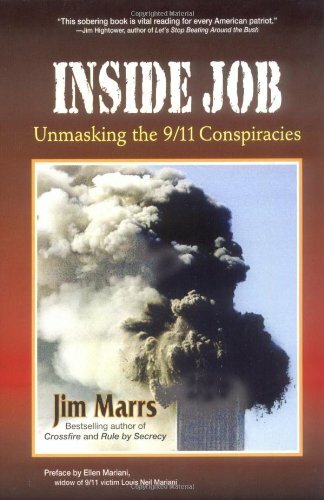 The style of writing is informative and generally fair and balanced given the nature of the subjects.It is probably the clearest account of the events leading to 9/11 that has been written. Two minor criticisms:Every major religion has its share of extremists. Islam is no exception.The book implies a more general malaise than is probably deserved.All major religions have their high and low points: prior to the renaissance, Arabic scholars preserved much of previous eastern and western philosophy, while making significant advances in algebra, medicine and navigation. The description of the countries and places in which much of the plotting occurs sometimes lacks context (but not accuracy).E.g., although the authors' description of Cairo is superb, but as far as cities go, it surpasses most of the developing world, both for safety and quality of life.Also, to state that German bureaucracy conducted minimal monitoring of Islamic extremists is true; but at the time the US wasn't doing such a great job itself. Modern-day conservatives are a lot different than the conservatives of the last few generations. This book examines what new, college student-conservatives are really like. 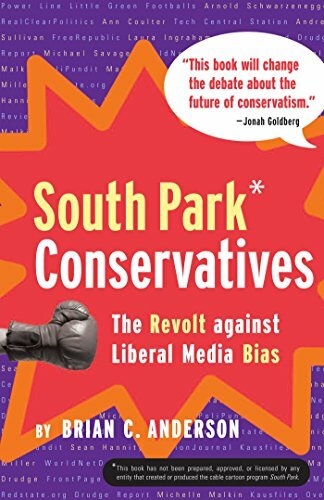 Also, this book examines how new media (that is, talk radio, cable, south park, and blogs) is defeating the liberal old media (newspapers, network, and most of cable). It is a fun-to-read book that examines the ways in which conservatives are finally getting a voice in the media. If you are a conservative or an open-minded liberal, you should read this book. It isn't surprising that most of the media is quite liberal. After all, the people who major in journalism are liberal arts majors. Dan Rather and the like are not physicists or computer scientists. Indeed if he were, he would have looked at a supposedly typewritten document from long ago and noticed that there were superscripts. Superscripts are easy to do with Microsoft Word and ink jet printers. But you didn't do them thirty years ago with military typewriters. But what can you expect of a liberal? As for the national news, I'm not so sure that they have been defeated by the conservatives so much as having self destructed. I watch any of the three (four if you count CNN) and I don't see much liberal bias. After all, you have to report on things like the news if you spend all of your time on the trivia that they seem to consider the important stories of the day. I mean, we have real problems to talk about, who really cares if some guy in California killed his wife. That happens all the time? There is nothing magic to draw me to Scott Peterson. Who really cares about a nutty pop singer who somehow gets young boys to come visit? If you are going to show only such fluff, how can you be accused of having any bias at all? They are entertainment shows, not news. 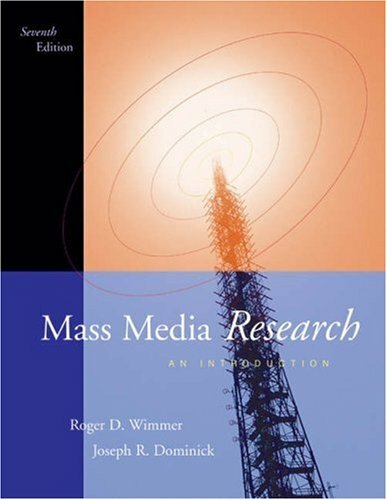 This book talks about the growth of the conservative media: talk radio, Fox News, and the internet Blogs. It's interesting to see, but as of yet, the big networks and CNN still dominate the airwaves, and the big newspapers like the New York Times and Washington Post still have tremendous readership and influence. The future's not ours to see, will the big media recover, will the "rebel" conservative press grow to dominance, will electronic media grow to match the traditional? Let's keep watching. Thanks to negative reviews I bought this book. After reading all the negative reviews by "cry baby liberals" I can only assume that it must really hit the "donkey" on the head, so I bought it. I find it interesting that so many libs who never read this book are so quick to jump in and add their own personal heart felt opinion about just how wrong this book must be and how it is really the right wingers who are bad. To me they are saying "THIS BOOK IS 100% CORRECT!" It just proves the main point of this book, you libs have no sense of humor all you got is anger, hatred, resentment, frustration, bias and narrow mindedness. I recommend Prozac, get help, it is available, there is a brighter life out there guys, you can be happy, focusing on everything that is wrong in the world is a sickness and it needs to be treated. Just as Michael Savage's book says, "Liberalism is a mental disorder". I think a more honest title, for some of the negative reviews, would be "WHAW! We lost the election!" All humor is conservative, and all of my condom loads are "precious life".Seriously guys, if conservatives are finally catching up to South Park, then Parker and stone can retire their titles as anti-establishment provacateurs.For all the nihilist posturing these guys do, it's really hilarious that they're being embraced by right-wing tools who will sit idly by while the fringe of their party strives to pass legislation that would not allow South Park to be on the air.What a country. By the way, South Park has been far surpassed by real cutting edge comedy like "Aqua Teen Hunger Force" and "Wonder Showzen".You Reaganites can have Dennis Miller and Colin Quinn (good riddance! ).We'll take Mr. Show, Bill Hicks, Patton Oswalt, Jon Stewart, Mitch Hedberg, and almost all of the planet's other funniest people. It is important to realize that this book is not a lashing out at the current administration but a clarification of a state of affairs in the United States and abroad. The scapegoating of the CIA by the administration for faulty information on WMD possession to justify its invasion of Iraq has perhaps resulted in the need for the CIA to respond in the only manner it can, anonymously. 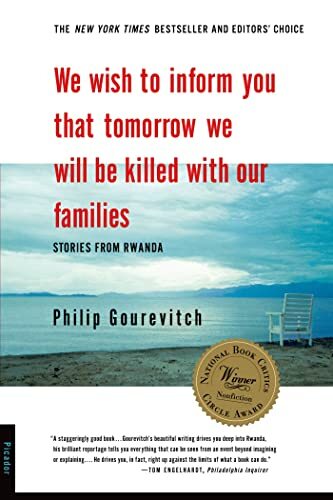 Read this book not as a defamation of a president or an administration but as a genuine critique of imperial overstretch and its consequences for America's war on terror. I have read this book. I think the people giving it one star are ideologues who couldn't open their minds to ANYTHING outside of bombing muslims to make them submit to our will. The author sounds like the few CIA workers who have TRIED to wake up the agency AND our government to the realities of Islamic terror. I, for one, do not think this book's detractors are average joes. They sound like ideologues who do nothing but discredit ideas and opinions to suit their agendas. Do you critics understand the CIA's role? They give intelligence advice to the President and Congress so foreign policy decisions can be made. Sorry, but you can't ALWAYS shoot the messenger. The person interpreting the data needs to have a good head. Reading this book, I realized that the author is completely on target with his observations. If he is truly the man who was in charge of chasing Bin Laden, I would assume he is steeped in vast knowledge of the Middle East, it's cultures and personalities. His viewpoint makes sense. We need to change our approach if we wish to purge extremists from the Middle East. No, I do not think Muslims are "humiliated" by our successes, they are humiliated because America treats everyone of them like terrorists and supports Israel wholeheartedly. I am not saying we should ditch Israel, but like any friend, we need to have more stern dialogue with them and change some things. I dunno...the Middle East is a mess, but since I have strong knowledge of the region, I can say that we helped in this mess and we MUST clean it up. The author has a point of view that may help break it down for my other countrymen to understand the situation better. Sorry, no secrets were found but Anonymous has good insights when "analysis" runs into the "message". Given the recent stable of anti-Bush books, you would think this book is part of the race for first-place in that crowded field. I would disagree. 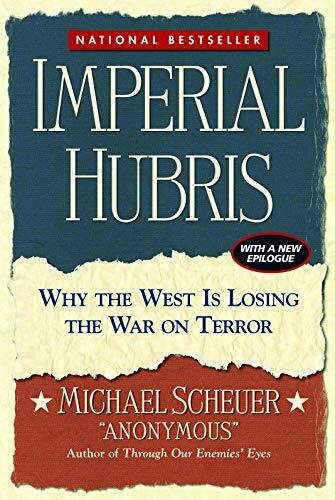 "Hubris" belongs with Steve Coll's "Ghost Wars" or Robert Baer's "Sleeping With the Devil..." and "See Know Evil..." If you must be political... read "America Alone" by Halper and Clarke. "Hubris" will compliment the reading of any of these books and if you have not read them... I suspect you will. Any way you read "Imperial Hubris", it is likely you will not be disappointed. I knew long before all this. I came from Europe (not France). You never asked yourself why Europe a traditional partner of USA was opposing the war in IRAK? Everything written in this book is no secret anywhere else but America, because on national television stations were aired plenty of documentaries showing the reality. I welcome this book. The American people needed to know the truth about the so called "War on terror". Only by knowing you can address the issue correctly. Enjoy the book. Definitely Not 5 Stars - Much Hype and Book Saturation? People tend to rate this book one star or five. Clearly it is not 1 star. Anyone assigning one or two stars to this book is an idiot. But similarly anyone thinking this is dramatic and new material has their head in the sand. There have already been a zillion books and opinions. So is there really much new in this book that we did not already read, know, or could surmise or figure out on our own? The short answer is no. 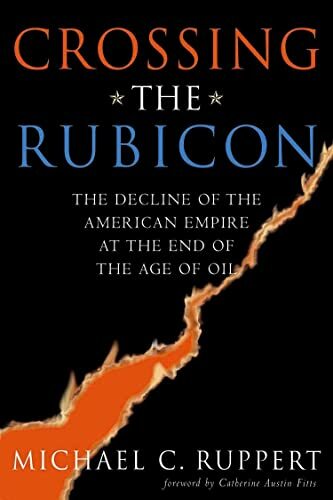 I think we are reaching the point of book saturaion on Iraq and Bin Laden, plus there is an unhealthy mixture of patriotic propaganda all mixed into the debate. This book sadly has had more pre-printing hype than new information and I do not think it is "a buy", so I cannot recommend. There are many better books especially by Craig Unger, Richard A. Clarke, Brzezinski and others. This is just one more coming late to the table. Also the author's theme here is really not much different from what Chomsky has been saying for decades. 3 or 4 stars and do not run out and buy. 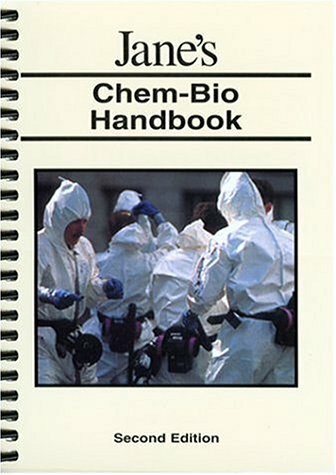 Newly updated, the Jane's Chem-Bio Handbook: Second Edition is an essential guide for US first responders that consolidates critical planning information and response procedures for a chem-bio incident. Fundamental on-scene procedural information includes initial response procedures, chemical agent indicator matrix, on-scene handling of biological agents, decontamination procedures, site set-up procedures with detailed graphics, and much more. Jane's Chem-Bio Handbook: Second Edition is also available in Latin-American Spanish, Russian and French. Please ask your local Jane's representative for details. This is a wonderful book for any first responder to have. It is very easy to use because not only does it come with on and off scene procedures, but it also has quick reference tables and charts. On a scale of 1 to 5 I give it a 10! and falls short. Jane's Chem-Bio Handbook is much improved over the freebie notepad version they gave out a few years back, but it suffers from a lack of focus. The small size, spiral binding, and tabs suggest it is intended as a first responder or incident commander handbook, but occasional topical discourses suggest that it is meant as a textbook. As a result, it is hard to find the information that would be needed on the scene (an index helps, but only slightly), while the coverage of the various topics is too uneven for it to be a good text. In some places, it seems to be simply a compilation of information from various (US) field manuals. There are some good ideas, but they seem to be sabotaged by the execution. The checklist version of the "Agent Indicator Matrix" (based on the Defense Protective Service model) is a good idea, but it is spread over three pages (instead of being arranged to fit on two facing pages in a landscape presentation or provided as a foldout) so that it can neither be copied easily or used easily in the book. A section on the threat of stolen military munitions, after noting that stockpiles in other countries are not as well secured as those in the US, then proceeds to a description of US weapons without describing distinguishing characteristics of chemical munitions relative to conventional munitions or how the munitions described might relate to foreign munitions. There are also some surprising errors in the hodgepodge of facts. The volume I purchased indicates that it is from the sixth printing, so I have to presume that most typos have been corrected. One particularly egregious error is in the characterization of liquid phosgene as "...not hazardous except as a source of vapor." This statement is highlighted in a little box with a finger pointing at it on page 106, and repeated on page 108. While certainly it is the vapor that kills, liquid phosgene splashed into the eyes is known to produce opacification. Subsequently, it is stated that "Phosgene [vapor] does not damage the eyes or skin..." Yet it is well known that concentrated phosgene vapor will irritate both the skin and eyes, and, while this would not be fatal, and is usually not permanent the downplaying of these risks is certainly inappropriate, to put it mildly. To try to close on a positive note, this book does have some good information salted in various odd spots. If you are responsible for a training program, it would be a good book for you to look at, provided it is not the only reference you use. The table of emergency decontamination materials found at a K-Mart, for instance, suggests an obvious bit of homework for your trainees. In summary, this handbook should not be your first or only purchase, but it probably has a place in a comprehensive library. Given the reputation of Jane's, a bit more proofreading would have been in order. Among those involved with the planning and implementation of specialized, multi-casualty incident response, this book is quite useful. Field personnel, command staff, and planners - all will find it helpful. I found it to be concise, packable, and physically handy. About the only thing I'd change would be to laminate the pages for weather resistance. 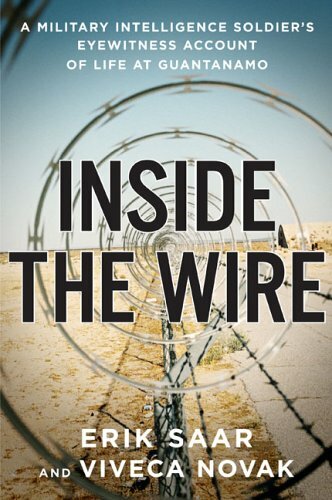 Inside the Wire is a gripping portrait of one soldier's six months at the terrorist detention center at Guantanamo Bay, Cuba - a powerful, searing journey into a surreal world completely unique in the American experience. In an explosive newsbreak that generated headlines all around the world, a document submitted by army Sergeant Erik Saar to the Pentagon for clearance was leaked to the Associated Press in January, 2005.His account of appalling sexual interrogation tactics used on detainees at Guantanamo Bay was shocking, but that was only one small part of the story of what he saw at Guantanamo --and the leak was only one more strange twist in his profoundly disturbing and life-changing trip behind the scenes of America's war on terror. Saar couldn't have been more eager to get to Gitmo.After two years in the army learning Arabic, becoming a military intelligence linguist, he pounced on the chance to apply his new skills to extracting crucial intel from the terrorists. But when he walked through the heavily guarded, double-locked and double-gated fence line surrounding Camp Delta -- the special facility built for the "worst of the worst" al Qaeda and Taliban suspects - he entered a bizarre world that defied everything he'd expected, belied a great deal of what the Pentagon has claimed, and defiled the most cherished values of American life. In this powerful account, he takes us inside the cell blocks and interrogation rooms, face-to-face with the captives.Suicide attempts abound.Storm-trooper-like IRF (initial reaction forces) teams ramp up for beatings of the captives, and even injure one American soldier so badly in a mock drill -- a training exercise -that he ends up with brain seizures.Fake interrogations are staged when General Geoffrey Miller - whose later role in the Abu Ghraib fiasco would raise so many questions - hosts visiting VIPs.Barely trained interrogators begin applying their "creativity" when new, less restrictive rules are issued by Secretary of Defense Donald Rumsfeld. When Saar takes over as a cosupervisor of the linguists translating for interrogations and gains access to the detainees' intelligence files, he must contend with the extent of the deceptions and the harsh reality of just how illconceived and counterproductive an operation in the war on terror, and in the history of American military engagement, the Guantanamo detention center is. I am currently assigned the Naval Station in GTMO.I read this book, and found it very easy to read and follow.It had an interesting plot and told a good story. Before anyone who is reviewing this and is convinced that this book deserves a bad review decides to scan down to the next one, please hear me out.I have never worked inside the camp.I know several people who have, but I have never done more than drive down the road inside.I don't know what goes on in that camp, and like many other sailors and government employees here, I listen to CNN talk about what is happening less than a mile away from me on television everyday.I cannot draw a conclusion about the truth behind statements and stories contained in this novel because I simply don't know.I bought this book after reading mixed reviews because I wanted this former soldier's perspective on what happens back there...not caring whether it was true or not.I hear so much about what goes on in there I don't know what to believe anymore. But with all of that said, I believe the book was very well written.It was easy to read, and was very hard to put down. It doesn't go into as much political depth as I had expected, which was OK, because I don't like reading books like that.It is simply one man's views of what goes on there. I only gave this book four stars for one reason.The information that the author adds about the Naval base itself is very true for the most part.He describes buildings and placesin a way that anyone who has been here for a while and knows their way around the base would be able to pick them out in a heartbeat.However, he mentions some things in the book that completely off the wall, and crazily un-true about the base itself.These are included as so called "rumors" but are just silly in my opinion.This is the only reason I gave it four stars, but like I said, it was overall a good novel. Before I close though, I would like to add that I believe you have to have an open-minded opinion of the goings-on at GTMO before you dive into this one.The personnel that openly bashed this book after it's release were careless, and downright rude.Everyone is entitled to their opinion, but next time it should be displayed with a bit more couth. Its nice to know so many GITMO personnel buy books! After reading the reviews, I was very suprised at the number of former/current GITMO personel that buy and review books on amazon.com This is truly an untapped market! 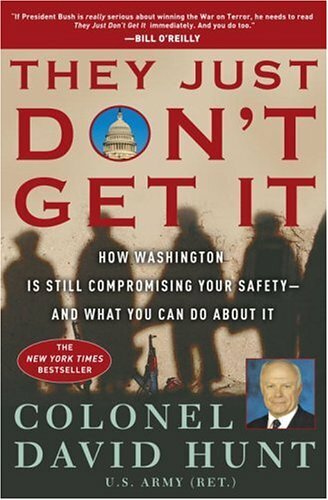 Evidently this is the ONLY book being read at GITMO, since they have never reviewed anything else on amazon.com Ok, Im finished with the sarcasm. The book was an easy read. The details were disturbing. Is it fact/fiction? Its up the reader to decide. Unfortunately we dont have any nice digtal photos floating around on the internet to verfiy the author's account. Many are quick to dismiss his version of events. But then again, if someone had written a book about soldiers in Iraq leading detainees around on leases, making them masterbate, stacking them naked in a pyramid...I would be inclined to think it was fiction too. Now if only we could find some photos from GITMO. Erik Saar's book has all the credibility of the Onion or at this point Newsweek. It strikes me that anyone with a dissenting view of the book is labeled right wing etc or that they will not post their real names. After seeing some of the responses on here and on Blogs I can not blame anyone for not posting their real name as I can see hate mail direct towards them. As Americans we seem to have a disturbing trend to want to believe in all conspiracies no matter how far fetched. The Iraq prison scandal has shown that clearly as is Erik Saars book. My hunch is that some of the positive reviews on here also believe that the government has Aliens in Area 51 and that the CIA killed Kennedy. There is a true patriot from both GTMO and Abu G, Specialist Joseph Darby who was awarded the John F. Kennedy Profile in Courage Award. The annual honors recognize acts of political courage. Darby was the first to report abuse at the prison. He turned over pictures that included images of prisoners chained together in sexual poses. Spc Darby did not write a book and is not making money over what he saw and felt was wrong. He took a stand and did what is morally right which is more than I can say for Erik Saar. While this book is well written it is far from the truth and it is amazing looking through interviews with Saar that his story changes and he seems to stick to doing interviews on the far left fringe of things. I am neither left nor right, I make educated choices and decisions based on the facts and Saar book lacks facts and has a lot of conjecture. As the Newsweek story has shown not everything in print is the truth and a stronger more in depth review of Saars book will show the same. I would love to see Saar's NOCER's for the time as well as the interrogation plans that show Saar was in the booth. I have a feeling most of what he said he saw is stuff he heard happened etc. It also strikes me as odd that Saar as an Arabic linguist never advanced beyond E5 despite the points being low and the need for Arabic linguists being great. I also noticed he has two good conduct awards. This means he did at least 6 years active duty. The average soldier makes E5 in 3-4 years and E6 in Saars MOS he should have had it in 5 with ease. I have a feeling there is more to look at with this young man than meets the eye. SPC Joseph Darby is a true American hero, not Saar, America should be offended at those who commit abuses and question the government and challenge it for better government and leaders, but we should also be offended at those that chose to try and profit from situations such as this and make matters worse and instead in flame things needlessly. his view of that history. This book gives us an alternate view into the workings of the Guantanamo detention facility.Before this book almost all of the information we have received has been second hand, either from officials in Washington or commentators.None of these people have actually been there, day in and day out, as part of the operation. Other reviewers have cast aspersions on the veracity of this book.My objective opinion is that Sgt. Saar's story rings true.For instance, we are told of a farmer who had no idea why he was there, and had not been charged with any crimes.If we were paying a bounty to Northern warlords for capturing terrorists, but not validating their claim that the people presented are terrorists, it seems reasonable that the warlord would pick up local farmers and tradesmen as easy money. It seems that they would certainly be easier to find and capture than real terrorists.In any case, the problems illustrated by this book would be easy for the government to check out. Some of the reviewers have impugned Sgt. Saars motivations and patriotism.While it is difficult to speak of another's motivations, writing this book is the definition of patriotic right and duty.The fact that we are able to criticize our government is at the heart of what being an American is all about.The free press is the ultimate check on the behavior of our government - the fourth branch. I believe that the most important point in the book is not the fact that we have violated international treaties and our own principals at Guantanamo, but that it hasn't worked.I remember the mood after 9/11.The world had shifted and only an extraordinary response would keep us safe.But this doesn't give us leave to forget about leadership, training, organized execution and oversight.We seem to have been making mistakes, but ignoring the outcome - the lack of good intelligence and the problems in moral and performance.Sgt. Saar is doing us a service by providing valuable feedback.The question is, will the leadership receive it from this source, as they didn't get it from proper oversight. You might have noticed that I was using the pronoun "we" when I spoke of activities described in the book.This was unintentional, and when I focused on it, I felt it might have been presumptuous.I certainly wasn't there.I was living in safety and comfort in the presence of my loved ones while Sgt. Saar and the others were doing their countries work in Guantanamo.On reflection, I decided to leave the pronouns where they lay.The military is the shield that protects us, but our surrogates.The soldier shows the world how we respond to difficult situations. Sgt. Saar's response has been both courageous and appropriate. This is an important book. David Ray Griffin, a professor at the School of Theology at Claremont is a respected scholar and researcher in his field who has an interest in the workings of government. 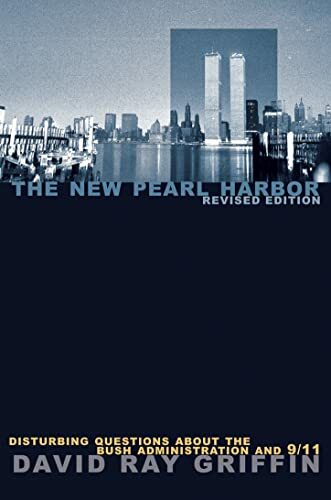 Though an academic, he has written a very accessible book on the most complex event in the recent history of the United States - "The New Pearl Harbor, Disturbing Questions about the Bush Administration and 9/11". The book makes no accusations but presents the accumulative questions and the events on which they are based in a manner that is compellingly persuasive of the need for a new fully independent investigative commission to be struck; this time to look at the time prior to, during the day itself and since that terrible day. In total the questions and events ask - was the Bush administration complicit in the events of 9/11? Yes, no one wants to believe such a possibility but the unanswered questions are startling. For example since 1995 the government has had warnings of Al-Queda intentions to attack the United States. Why were they not acted upon? The authors of the "Project for the New American Century: Rebuilding America's Defenses" have said that this rebuilding would be difficult to sell to the public without a "new Pearl Harbor". Could they possibly be willing to orchestrate such an event? Standard procedures for intervention when a plane goes off course were not followed on the morning of 9/11. Why? But this just scratches the surface of the material inThe New Pearl Harbor. This is the most disturbing and chilling book I have ever read. In an election year these questions need to be answered not only for the American people but also for your neighbours next door in Canada. This is a must read ! THE NEW PEARL HARBOR is a 214-page smoking gun against the official version of what happened on 9/11/01. This is quite interesting considering the fact that David Ray Griffin does not discount the official version out of hand. From each question, Griffin takes us on two journeys. The first is the official version of what happened that day, and the second is based solely on the facts. This methodical, academic approach is brilliantly executed leaving the reader to think for his, or her, self. In every case, Griffin clearly shows that the official version is not supported by the evidence, whether that evidence be physical or circumstantial. Griffin's footnotes are filled with top-notch 9/11 Truth researchers, such as Paul Thompson, Nafeez Ahmed, Mike Ruppert and Thierry Meyssan to name a few. He gives credit where credit is do. Thank god prominent left-wing intellectuals, such as Richard Falk & Howard Zinn, have endorsed this book. The American Left has of course been hard on many Bush policies, but it has largely turned a blind eye to what really happened on 9/11. Hopefully this is the beginning of a mass awakening in this country. I have been down at Ground Zero every Saturday handing out educational literature about 9/11 for three months now as a cofounder of www.NY911Truth.org. As we can afford, we hand out free copies of Griffin's book to those who are interested in thinking for themselves. Everyone should read this book. The truth hurts, but it is time we start taking the pain. David Ray Griffin presents a work that intimates a terrible array of potential arguments behind the 9/11 disaster. An indepth prosecutorial assemblage with profound assessments with regard to how the United States government could have possibly allowed such a grievous set of circumstances to have occurred. An essential reading for all Americans! I won't go into the evidence presented in this book. There are many reviews here that do just that, and I would be treading on already familiar ground by doing so. I'll pose one question to you, the reader. Why have there been ZERO reviews of this book in the mainstream press when it has been consistently in the top 300 books on Amazon for the past three months, and without any major press coverage, I might add? I challenge you to find another bestselling political book which fits this criterion. The point is that conservatives would definately want to smear Professor Griffin as another crazed liberal if the book was without merit. That they are silent on this book speaks volumes. Additionally, liberals are afraid to touch this book because they don't want to be painted as conspiracy theorists. Someone should have reviewed this book by now in the mainstream press, yet no one has touched it. It's political dynamite from the perspective of either side. Reader, the text from this book has been made available on several sites around the web. If you're afraid of blowing $10 on junk, a simple Google search will yield the text online. Spend a few minutes reading and then come back to Amazon and order ten copies to pass out to everyone you know. This book is that important. Are there any "laws of nature" that influence the ways in which humans behave and organize themselves? In the seventeenth century, tired of the civil war ravaging England, Thomas Hobbes decided that he would work out what kind of government was needed for a stable society. His approach was based not on utopian wishful thinking but rather on Galileo's mechanics to construct a theory of government from first principles. His solution is unappealing to today's society, yet Hobbes had sparked a new way of thinking about human behavior in looking for the "scientific" rules of society. Adam Smith, Immanuel Kant, Auguste Comte, and John Stuart Mill pursued this idea from different political perspectives. Little by little, however, social and political philosophy abandoned a "scientific" approach. Today, physics is enjoying a revival in the social, political and economic sciences. Ball shows how much we can understand of human behavior when we cease to try to predict and analyze the behavior of individuals and instead look to the impact of individual decisions-whether in circumstances of cooperation or conflict-can have on our laws, institutions and customs. 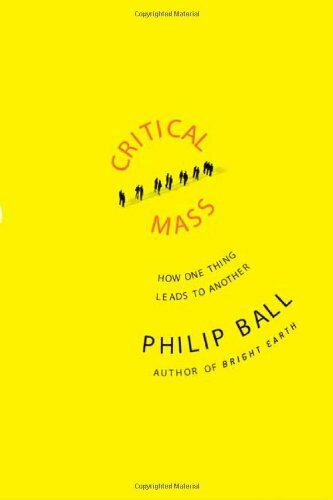 Lively and compelling, Critical Mass is the first book to bring these new ideas together and to show how they fit within the broader historical context of a rational search for better ways to live. I was turned on to this book by a friend and when I next saw him, he asked me, refering to the author Laurel Leff's revelations, "did you know that?" I answered that I didn't know that the Times had basically hidden the news of the holocaust but, on the other hand, finding this out didn't surprise me. Sulzberger was an assimilated Jew, the descendent of Rabbi Steven Wise, a renowned Reform Rabbi whose theology was very assimilationist. Thus, despite his Jewishness, the Times rarely ran a major story about what was going on in the concentration camps and the stories that were written were not positioned in a prominent place. If they made the front page, it would not be postioned as the lead story. Incredibly, the coverage of the holocaust did not mention "Jews" specifically. By reading the Times, you would not have known the extent of the genocide nor would you have known that Jews were the major target of the Nazi extermination efforts. It is important to note that there was never a "smoking gun" uncovered, i.e., a memo or written directive from Sulzberger ordering the staff of the Times to soft pedal the events in the concentration camps. What is beyond dispute is that the Sulzberger family was secular and did not view Jews as a people. What is further beyond dispute is that the coverage by the Times was scant. Thus, whether by directive or not, the Times failed miserably in its role as "journal of record," making a mockery of its motto "all the news that's fit to print. What is particularly reprehensible is that members of the Sulzberger family were being rescued while the details of the holocaust were being quashed. The Times, could have been influential but, tragically, it failed to exercise it's influence. Roosevelt basically looked the other way and, in sadness, we can only wonder whether he could have withstood the pressure and continued to do little if the Times had fully covered the events. Back then the Times obviously had an agenda and today, it still does. There was daily coverage of the Abu Ghraib prison abuses with one breathless headline after another. That was the more recent Times' agenda, specifically, to discredit the efforts in Iraq, particularly in an election year when the events there might have been a campaign issue. Tragically, there were no such breathless headlines during the darkest hours of the holocaust. This is a very good book about how the New York Times family owners purposefully avoided dealing with the issue of anti-Semitism in Europe, and particularly Nazi Germany, while at the same time the Sulzberger family did everything it could to get its relatives out before the deluge. 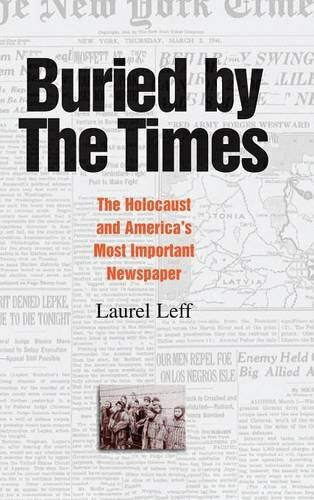 Laurel Leff has done a masterful job of showing how the Sulzberger clan became complicit in one of the darkest chapters in human history by not using the power of the paper to expose the real nature of the evil that Nazism was. Of course she does address the fact that anti-Semitism was not just a German issue, but from my perspective she does not go into enough detail about the extent of anti-Semitism in the US, and particularly major movers and shakers such as Joseph Kennedy who hated Jews so much that he always referred to them as "kikes" and opposed any action by the Roosevelt administration to educate the American public about the threat to Western civilization, even though he was ambassador to the Court of St. James at the time. 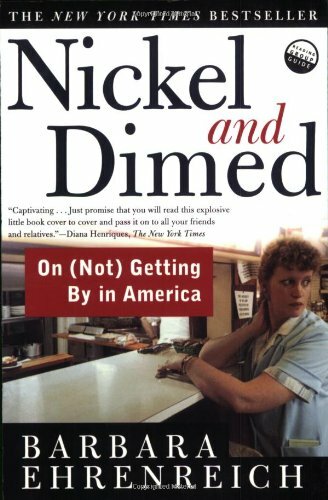 But the problem with this book is that it focuses on the Times as if it somehow committed this sin for the first time in misleading the American public. I agree with her thesis that the Times has been hoisted as the most influential paper in the world among lazy elites, including those who have reviewed her book, but that is rapidly changing now, primarily due to the fact that the paper has failed so miserably in many areas, including the latest diversions of small change like Jason Blair. But the biggest holocaust of the last century did not occur in the ovens built by the Nazis, it was committed in the Ukraine when Stalin's forced collectivization starved far more Ukrainians to death than Hitler killed with his Zyklon-B. And the Times had a reporter, Walter Duranty, in Moscow at the time who won a Pulitzer Prize for mis-reporting this horror. Duranty was "Stalin's apologist" in many ways, dismissing honest reporters who covered the biggest holocaust as "overwrought"when they filed stories about the millions murdered by Stalin, filing stories about the "show trials" of Stalin as if they were legitimate trials that led to the deaths of millions more, and many other atrocities. Most serious scholars now have to acknowledge that the starvation of 8 million Ukrainians was not just an "unintentional consequence" of collectivization, and it really remains the NY Times most outrageous attack on the truth, the Nazi death camps notwithstanding. There are many stories in the NY Times thatreveal the lie that is it's masthead of "All the news that's fit to print." The Times fought mightily to keep Duranty'sprize last year when serious reporters wanted to take it away because it was gained by fraudulent means. Of course the paper has done a great job of condemning the awarding of Olympic medals by drug-enhanced athletes, but can't see the hypocrisy of its own efforts to keep Duranty's decades of duplicity being rewarded with a Pulitzer. I recommend this book because it shows the hypocrisy of the Sulzberger clan in dealing with Hitler's "final solution" but it is not the biggest sin committed by this paper in miseducating the people it supposedly serves. The 9/11 Tragedy: Official Story...or Inside Job? Find out in this startling analysis by a leading investigative journalist. Powerful US officials must have had foreknowledge of the planned attacks, and then acted from the inside to: thwart efforts to prevent 9/11, remove or cover up criminal evidence, and hamper inquiries into what happened.  Standard air defense mechanisms systematically failed, simultaneously.  Interceptor jets were scrambled too late, too slowly, and from the wrong locations.  President Bush proceeded with a "photo op" long after he knew we were under attack.  Fires could not have caused the free-fall collapse of the World Trade Center towers.  The collapse of Building 7 in the complex was later admitted to be a demolition.  Vital physical evidence was either removed or has never been released to investigators.  Key officials claimed warnings never came, despite massive evidence to the contrary. I find that there are numerous tokens of insight within the book making this book a valuable textbook for students; however I am rather shocked and concerned by the lack of evidentiary support and existing fallacy argumentation. For example, Henslin discusses whether sociologists have a responsibility to be involved or whether sociologist should be objectively impartial. He states many perspectives with "they say", "they observe", "they try", "they should produce", etc. (Henslin 21). I am curious who "they" are? Are there papers or prominent sociologists in the field that are making these points? In the next chapter, Henslin uses a slippery slope fallacy argument to express his opinion that "physician-assisted suicide" is wrong. He notes "Once we initiate such a process (at first only for those who desire it), we find ourselves on a slippery slope that could lead to the practice of having committees define who has become a 'burden' to society. In the hands of some, this could lead to genocide" (Henslin 25). Amid his efforts to expose the Russian mob, Robert I. Friedman learned from the FBI that "the most brilliant and savage Russian mob organization in the world" had put a $100,000 price on his head. Reading Red Mafiya, it's not hard to see why: this is a brave book about a troubling subject. Friedman, a freelance journalist, describes the research behind it: "I ventured into the Russians' gaudy strip clubs in Miami Beach; paid surprise visits to their well-kept suburban homes in Denver; interviewed hit men and godfathers in an array of federal lockups; and traveled halfway around the world trying to make sense of their tangled criminal webs, which have ensnared everyone from titans of finance and the heads of government to entire state security services." Their racket involves heroin smuggling, weapons trafficking, mass extortion, and casino operation, among other activities. "Blending financial sophistication with bone-crunching violence, the Russian mob has become the FBI's most formidable criminal adversary, creating an international criminal colossus that has surpassed the Colombian cartels, the Japanese Yakuzas, the Chinese triads, and the Italian Mafia in wealth and weaponry," writes Friedman. They've even penetrated professional hockey, as Friedman shows in an eye-opening chapter ("Federal authorities have come to fear that the NHL is now so compromised by Russian gangsters that the integrity of the game itself may be in jeopardy"). Brain to Pinky: "Take over the world!" 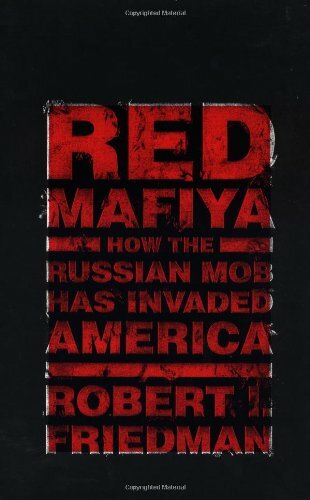 RED MAFIYA by Robert Friedman is a report on some of the figures and actions of the Russian mob in the United States today. Although, there are some claims that this book is "anti-Semitic," the author is himself Jewish. Friedman was a brave author to write and publish this because of the nature of the criminals he is trying to expose. One of the reasons for the Mafiya's success is that is has two entire countries to base themselves in: Russia and Israel. Russia is completely corrupt with a crumbling economy and infrastructure. Israel offers a safe haven because it does not extradite its citizens and any Jew fleeing peresecution can seek refuge there. Israel also has very lax banking laws, to encourage the income of capital, so billions of dollars have been illegally laundered there over the years. Most of the top players in the Russian mob are Jewish, including Elson, Agron, Nayfeld, Balagula, noted author Yuri Brokhin, politically connected orthodox Rabbi Ronald Greenwald, Ludwig "Tarzan" Fainburg and the most powerful, Semion Mogilevich. Some, like Ivankov, are not Jewish but hold Israeli citizenship. The fact that many of the mobsters are Jewish is mentioned by Friedman as a cause of law-enforcement's lack of motivation in tackling the issue because it would inflame extremly sensitive political interests. 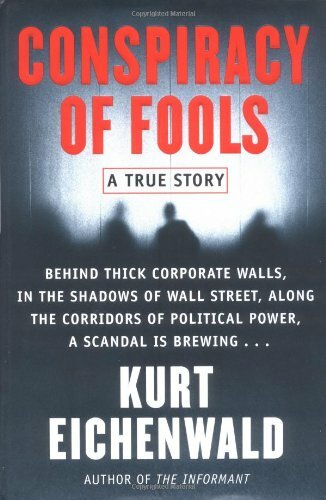 Prominient names appear in this book who have had cameos with mobsters--all the way up to Bill Clinton and Al Gore. RED MAFIYA by Robert Friedman is a disquieting book. In it, he chronicles the waves of arrival and expansion of the Russian mob in the US. The first wave came during the period of the Cold War, when the criminals arrived in the guise of Jewish dissident refugees, settling in Brighton Beach, New York. The second wave came after the dissolution of the USSR, when the new freedoms allowed by perestroika opened the floodgates to the Russian "wiseguys", some with previous connections to the KGB and military, now swarming into Miami, Denver and Los Angeles. Since then, the Red Mafiya has relentlessly extended its tentacles into, and sometimes completely around, such diverse activities and entities as the Russian government, Wall Street, the Russian and Swiss banking systems, the State of Israel, and the US National Hockey League. One of the Mafiya's most startling characteristics is the viciousness of its members. A viciousness forged into a steely hardness under Soviet totalitarianism, and which makes the dons of the Italian Mafia look like a bunch of kindly grandfathers. It causes one to look fondly back on the bad old days of the Cold War, when at least the Soviet security apparatus had its indigenous criminals under some measure of control, i.e. in some Arctic gulag where they could tear at each other's throats instead of ours. I have mixed feelings about this book. First of all, it's not one I would've bought on my own - it was a gift. I mean, living in Southern California I 'm well aware that there are loathsome elements "out there": mafias of whatever national origin, Latino gangs, Armenian gangs, Chinese gangs, Vietnamese gangs, South American drug cartels. Hell, maybe even brotherhoods of Eskimo assassins for all I know. The best I can do is stay out of their way, much as I avoid dog excrement on the sidewalk. There's not much I can personally do about them except support law enforcement agencies with my tax dollars, which, by the way, are legally extorted from me at 33% or more of my income. (I might well wonder which group is hurting me the most.) On the other hand, as the author points out, the damage that the Red Mafiya is doing to the Motherland may eventually cause a disgusted populace to elevate to leadership a Hitler-like figure - and he's going to have nukes to play with. This is a scary thought. On that basis, I have to applaud Friedman on the courage it took to write such a fine and informative piece of investigative journalism in the face of extreme personal danger. Honor is due. Robert I. Friedman (who recently died) was a terrorist loving, antisemitic and russophobic thrash peddler. His books are full of obscene innuendo and downright libel. He never backs up his sources and engages in Jew-bating (his previous books) and Russophobic rants (Red Mafiya). As a Jew from the Soviet Union and a proud Zionist, I consider Friedman to be as antisemitic and dangerous to the Jewish community as David Duke and Louis Farrakhan. No, it did not escape me that Friedman is jewish. This book is nonetheless little more than a poorly structured, and poorly referenced screed. Friedman makes a habit of giving information that is supposedly culled from confidential government reports and other official and important sounding sources without ever backing them up with a reference list, footnotes, or end notes that would lend them any real credibility. He could simply be making this stuff up and one would have no way to confirm or deny any of it. Further, nearly every time he mentions a new mobster or badguy of some sort, he trips all over himself in his haste to inform us that this person is jewish. If this book was all you had to go on, you would come away thinking that every Russian Jew that comes to the US is some sort of gangster. Finally, the writing is so poorly structured it's hard to tell why he bothered having chapters with different titles. He may as well have written the whole thing as a single gigantic paragraph. I recommend you read anything else. I have read passages from this book and can say only this--a pure Racism. I do not deny that there are Russian Mobsters in America. They are vicious thugs and they must be dealt with swiftly and justly. I certainly not deny that current Russian Regime is corrupt and authocratic and it is the cause of concern. 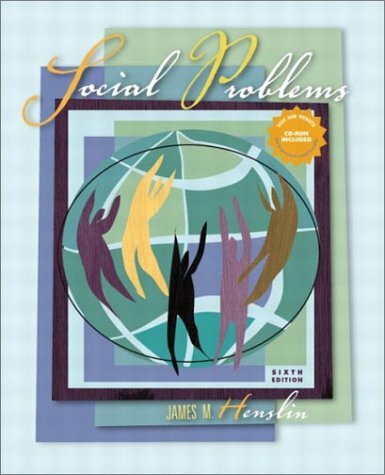 I'm a sociology major and I -loved- this book. Those that aren't sociology majors might find some of the chapters shocking but that's mostly because it presents the reader with information that are very rarely ever presented in the media. It isn't kind to conservatives or the wealthy because it explores the benefits that they get, usually at the cost of the lower class. It showcases the horrible things that corporations and government do while providing us with the ideology that keeps it in place 'The American Dream'. It also shows how very rare it is for that American Dream to come true. 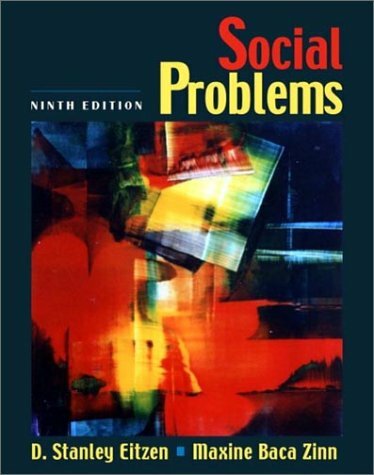 It does take more of a 'system blame' approach more than a 'victim blame' approach as it is a conflict theorist oriented book and on top of that, it is in the field of sociology where you have to look at the macro, not the micro. All the while it shows -how- the system -wants- us all to take victim blame approaches, which again, benefits them incredibly. The readings are incredibly informative, the statistics are relevant and prove that they aren't just throwing random liberal words around as the sources are credible. While some have complained that it doesn't show 'the other side of things', what they don't realize is that we're bombarded with 'the other side of things' every minute of the day. I highly recommend the book. You'll learn more than you thought you could over topics like education, health care, sexuality, family, poverty, the environment, national security and much more. Even if it doesn't necessarily make you feel good about the US and the state of it. I am a Sociology major, and I have to say, this book is very fascinating. It does give a lot of stats, but that is how the social world is measured in a scientific manner. Too liberal??! Well, if you wanna read something "fun" get a bible and go to sunday school. I read this book and to be honest with you, I felt that I wasted 83 bucks in buying it.It focuses way too much on percentages rather than involving the reader in actually learning something.Statistical evidence is a good way to learn but in this case, it takes the subject to the extreme.My sociology professor required this book and I am getting more and more bored with the reading.Anyway, if you have to get it, spend some time and look for it used.........the only thing you will learn is how to shop around. I only read this book because I had to take a class by the same name. Wouldn't have wasted my time otherwise. Eitzen and Zinn should find a better way to make a living. They constanly whine about how bad capitalism is, but the closest they come to recommending an alternative involves some vague references to "central planning" by governments. The main solution they come up with for air polution is to have all energy sources and the distribution infrastructure for power owned and operated by the government "for the good of the community". Great idea. They express an open and blatent contempt for the American lifestyle and especially the "American Dream". They do not support their claims with facts; only half truths. They also show a disdain for "technology" in general, which leads me to believe that they are simply afraid of technology; after all, some of the changes they demand can only be achieved through advances in high technology. Further, Eitzen and Zinn show that they are authoritarian at heart in their very writing style. Instead of letting students draw their own conclusions, they tell you exactly what opinion you should have. This book should be translated to Spanish....it would go over great in Cuba. Otherwise, let's hope that the 9th edition is the last edition of this drool. Do everything you can to avoid taking a college class by the name of "Social Problems"....your time and money can be spent better elsewhere. I have two questions for Eitzen and Zinn: Question 1) For all the dribbling you do about wasting natural resources, why didn't you insist on making this book available exclusively on CD-ROM and/or the Internet? Instead, you wasted 600 precious pieces of paper when you distributed countless copies of this hardcover book. 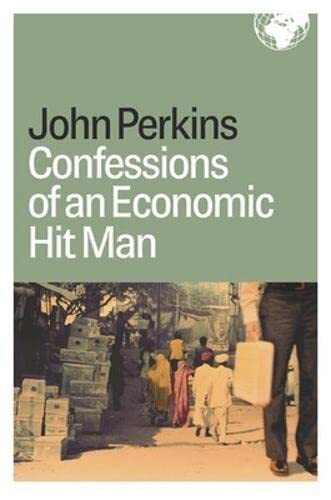 Question 2) How much money/PROFIT did you make from those deplorable capitalists by writing this book? They think you're stupid.They think all freedom loving Americans are stupid.They think patriotism is stupid.They think churchgoing is stupid.They think flag-flying is stupid.They despise families with more than two children.They are sure that where we live-anywhere but near or in a few major cities-is an insipid cultural wasteland. From environmentalists to Hollywood celebrities to media yuppies, no American elite is safe from the astutely critical eye of Laura Ingraham.In this refreshing book Ingraham probes the condescending elitism of liberals in politics and entertainment.She shows how their lack of national pride, their distaste for religion, and their disregard of American ideals are undermining traditions and values across the country.And her criticisms go deeper than just the elites in the Democratic Party; she even zeroes in on elite enclaves in the GOP. 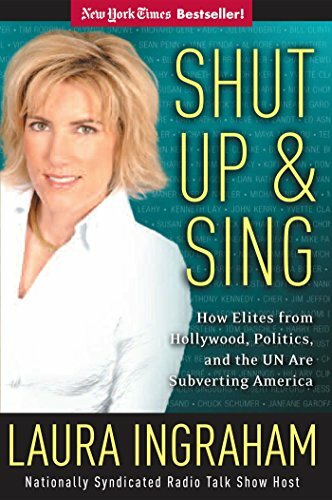 Laura Ingraham's "Shut Up and Sing" reveals the agenda of American and European elites who work tirelessly to force their views upon the average U.S. citizen, -- U.S. sovereignty be damned. Ingraham begins by defining who these elitists are: their arrogance tends to have no bounds, they frown on any objective morality, shun religion (especially Christianity) and worship science, look down on the South and openly ridicule anyone who does not live in a major city, worship at the altar of the United Nations, and clump people into "oppressed" groups who desperately need their help. Where can these elites be found? Ingraham tells us their "native habitats" are in politics, media, universities, arts and entertainment, business, and international organizations. Theirs is an agenda that consistenly involves a seething anti-Americanism, suspicion and fear whenever the United States seeks to defend its citizens or interests, and demands for America to blindly follow international plans for a one world government. The first half of "Shut Up and Sing" will be a bit familiar to those following the elitist obstructionism during the Iraqi invasion. The second half is actually stronger in tone and facts especially when Ingraham discusses the horrible effects illegal immigration has on the US, the corporate corruption of Enron et al, the arrogance of university elitists, and the UN's dream of subverting the United States. Laura Ingraham successfully and truthfully exposes the elitist agenda for what it is. Those who would criticize "Shut Up and Sing" for its content will sadly do so because the myriad of facts she provides are inconvenient and bothersome. Thankfully, for Ingraham and her fans, truth is more important than ideology. In her breakout book "Shut Up And Sing", nationally-syndicated radio talk show host Laura Ingraham hammers the nation's hypocritical liberal elite. Laura tackles pointy-headed ivory tower academics, the Hollywood activists, and liberal elites from every avenue of America. Pointing out their endless hypocrisy, Laura challenges liberal opposition to SUVs, flag waving, patriotism, guns, and George Bush's intellectual capacity. Along the way, the author lets her reader know why these elites want to tear down America, the real reason Hollywood is filled with wackos (including her own case study of Michael Moore), and the elitist goal of destroying religion in America. She tears down the myth that the United Nations, as currently constituted, is a force for good and relates her ideas for reform. With original chapter titles such as "In Kofi We Trust?" and "Europe vs. the Cowboys", "Shut Up And Sing" is a book that captivates its reader from beginning to end. Author of "The Dittohead Guide To Adult Beverages"
Shut up,and.. just SHUT UP! I'm tired of blond Conservative C-words telling me how Anti-American I, and my family are (a lot of whom have distinguished military backgrounds in WW II, Korea & Viet Nam... my Uncle died in the Invasion of Normandy), simply because we are Democrats, and/ or LIBERALS. Where do you get off telling me I don't love my Country, or the brave men in my family who fought to save not just my, but your lame butts?! As usual Ingraham bases her "findings" on sweeping generalizations not grounded in fact. By the way, if you're so down on Liberals - examine the expensive clothes you wear... Liberal or Conservative designers? How about the cutesy - tootsie new haircut which renders your image a bit more "Hip" (Hip - or LIBERAL?). Why the need to appear stylish? Style and image acceptance seem to stem from that hideous Liberal Hollywood or (SHUDDER!) NEW YORK! A good Conservative wouldn't care how she looks. (Or was it just that you looked too much like Ann Coulter, and your Publicist suggested you change your hairstyle?) Practice what you preach (or screech...) - wear conservative! Go with Lands End & L.L. Bean... anything else makes you look like you're trying too hard. You're all merely flagrant opportunists cashing in on a trend. (Clinton bashing will always be profitable, if beside many a point) How about working towards partisan compromise? Neither side will have the exclusive way anyways. What part of "Compassionate Conservative" has been missed on you? Yeah... that's what I thought it was - just another empty idea aimed at getting more votes. In this book, one better than I had expectations for, Laura Ingraham excoriates the Elites, a term she uses to describe those who are anti-Capitalist, anti-private property rights, anti-family formation, and commensurately anti-socialization of family values infused into the child by the family. She's also against minority rights vs majority rights, and firmly against transferring our legal system to the auspices of the UN and the World Court. She explains how America, Western Europe, and the Middle-east ended up with so many of their Elites hating American values while concommitantly arrogating to themselves the mantle of a superior virtue, one more compassionate than the one adopted by their enemies; those who believe in the worth of the founding father's and the fairness and efficacy or the constitution of the USA. After she catalogues the existence and operation of each of these "vertical markets" of venomous propoaganda, she expounds on how to turn the tide back to where people are once again taught the virtues of American exceptionalism, indeed are taught the foundations of our Constitution, our Bill of Rights, our Declaration of Independence, and the importance of our Ratification Debates and the Federalist Papers that informed them. She begins by elucidating the motivations of those who abhor American exceptionalism: those in Hollywood and their newest hero, Michael Moore. She follows by recounting their tactics and goals which include the usual anti-capitalist themes: anti-war, anti-religion, anti-private property, and anti-family. She explains their open border immigration policies by which, in true Marxist fashion, they hope to import a whole new working class whose values they can mold toward socialism. She highlights their elitist stranglehold on academia, and their severe wrenching to the Left of class content, their bizarre theories which have kindled a rewriting of history with a neo-communist bias, and their hugely biased reading texts. She next outlines the perfidy, calumny and corruption of the UN with a call for its reform. Then she avers why these neo-communist elites are losing ground; and I might add, not a moment to soon. Laura Ingraham has the capacity granted to a small minority of people, the ability to see the world as it is and not as how they would like it to be. Ronald Reagan had this ability as did Margaret Thatcher and Winston Churchill. In addition she and they are (and were) honest, uncorruptable individuals. With Laura, you can sense her frustration as she sometimes lashes out at those on the point of her criticism, but this is a characteristic that has been honed beyond the limits by the Martin Sheen, Danny Glover, Harry Belafonte, and the rest of the neo-communist crowd. Why? You need not wonder any longer. Laura tells you and she does an excellent job of it. Those who pick at her conclusions are whistling past the graveyard. The whole debate is about to change, stay tuned! I am a moderate conservative, so I have a lot of common political and ideological background with Laura Ingraham. I was ready to enjoy this book, and it never happened. For one thing, its title deceived me; I thought this would be much more about how political celebrities have become. She spends a little time on that, but this is really an "everything" book for her--her manifesto, basically. For another, the tone--a sort of civilized "pissed off"--becomes tedious quickly, and she's not dexterous enough with the language to overcome it with clever word and phrase choice, as Ann Coulter can. I agreed with a lot of it, but what have I added to my mental inventory after nodding for four hours?